The CDI collaborative design process begins with the project team and core partners co-creating the clear project purpose, goals and process. This process of alignment creates the foundation for a streamlined, collaborative process, supported by the people in charge of project and their partners. During the Co-Start Intensive, the group completes a series of assessment and organization exercises that begins with high-level guiding principles and ends with a detailed project process plan or roadmap. 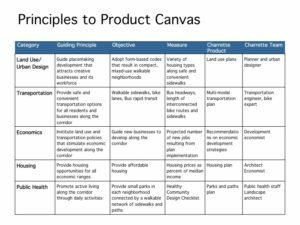 The result is a draft plan for how the project will be conducted including who will be involved and how, a list of base data work, and a description of the charrette or co-design process and products. This information can also be used as a draft project scope and an estimated budget that can be used to write request for proposals. The Co-Start Intensive creates a focused team approach to project management that will guide it through the inevitable hurdles that it faces on the way to approvals and implementation. Phase two is about becoming people, data and place ready for the co-design workshop in phase three. Becoming people ready centers on creating the trustful engagement of the people who are essential to the project success and whose live are affected by the outcome. Data readiness is accelerated through the co-start planning and conducted as a collaborative exercise as well. The place is the co-design studio where the magic happens. Place readiness involves finding and procuring the right venue that provide the supportive environment for the co-design workshops. This is the project’s big bang; a multiple-day workshop or charrette that brings together an entrusted team of experts with all stakeholders to work collectively to create a design solution to the problem. The specialty silos crumble as shared learnings occur when disparate viewpoints collaborate on a design problem. The charrette uses the theory of time compression to create a sense of urgency that heightens creativity. 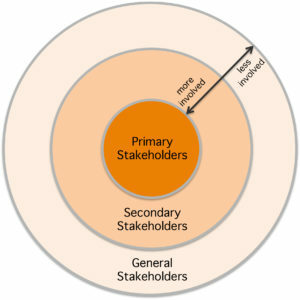 Stakeholders – anyone who can approve, provide valuable information, promote, or block the project, as well as anyone directly affected by the outcomes – are embedded in the design process through a series of short feedback loops or meetings over the course of several days. The charrette makes the best use of everyone’s time by engaging people when their input will have the greatest impact. The result is a draft feasible plan that requires minimal rework and is carried by the support of all stakeholders through implementation. The co-design charrette results in an 80% complete plan that has been tested for feasibility and vetted by the stakeholders. The process for the action or implementation phase is mapped out as part of the charrette. 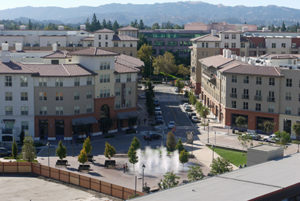 The charrette’s co-design process creates the “people infrastructure” for implementation. Project champions in charge of implementation are the co-authors of the plan and therefore are committed and energized to see it through.